Simply put, a child prodigy is anyone under the age of 18 who tests as incredibly gifted, talented and skillful. They may be described as extraordinarily above average, and uniquely masterful in their given craft. Several factors set these prodigies apart from their peers, including their IQ, their genetics, their brain scans, their family environment, and their seemingly effortless abilities to conquer a given skill. In the world today, there are plenty of children with high IQs who are not deemed prodigies. What may set a prodigy apart is motivation. According to the National Institutes of Health, discipline and motivation accounted more for the success of a child when compared to the child's IQ. This would, in theory, mean that child prodigies need to have not only a high IQ, but also be incredibly motivated. However, IQ is not the only factor that impacts child prodigies. For example, with savant syndrome you may have a child that tests with a low IQ, yet still has incredible, above average abilities. Although savant syndrome is distinct from prodigiousness, the overlap in extraordinary talents has opened up many doors to new research that attempts to further differentiate the prodigies from the average. 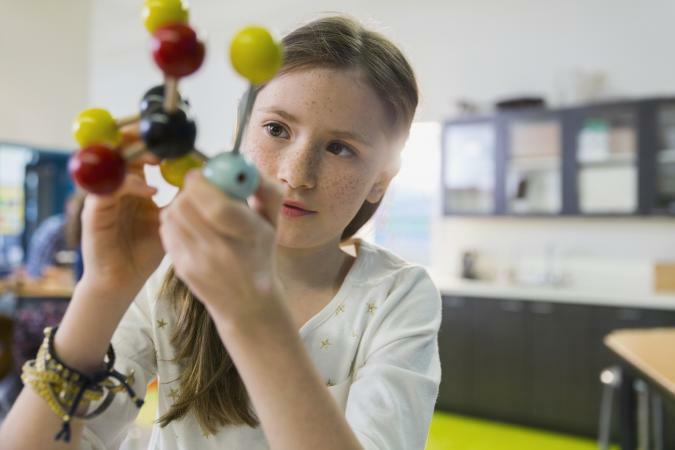 Despite the difficulty in attempting to separate the nature versus nurture when it comes to a child prodigy's genetics, there are a few studies that may link prodigiousness with genetics. For example, according to one study published in Human Heredity, researchers have found a genetic marker on chromosome one that indicates shared genetic makeup with those who are diagnosed with Autism Spectrum Disorder and child prodigies. The researchers note that this study, although not absolute in its findings, is a great start to understanding the genetic linkages between Autism and prodigiousness. This indicates a similar mutation on chromosome one that both child prodigies and folks with Autism share. In a study of artistically prodigious children compared to average children, researchers noted that the gifted children drew more realistically and similarly to adults, while their peers were unable to create the requested three-dimensional pieces. The research emphasized that this skill is not common, even among adults. Some prodigious children were as young as four, suggesting their skills are tied to their genetically-influenced perceptive abilities. PET scans, otherwise known as positron emission tomography scans, are used to measure oxygen intake, blood flow and metabolic issues at a cellular level. When examining the brains of child prodigies, PET scans revealed that prodigies tended to utilize their long term memory storage, while the majority of average folks simply use their short term memory when attempting to calculate a complex problem according to a study published in Nature Neuroscience. In the study, researchers note that prodigies and average folks will use their brains bilaterally, although favoring the left hemisphere to calculate a problem, but prodigies will also use their right medial frontal area and para-hippocampal area. This difference means that prodigies are using episodic memory, and long term memory to assist them in tracking and solving complicated problems, while the average person is relying on their short term memory, which can typically hold about nine items for an average time of 30 seconds. 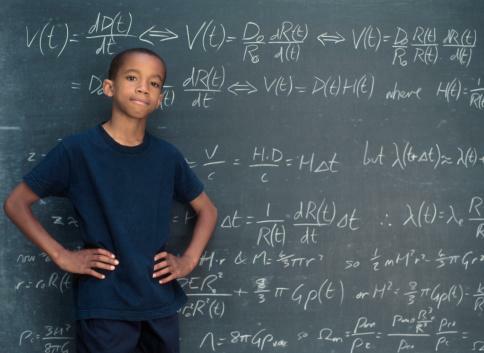 In many cases, child prodigies come from gifted backgrounds. Some of the most famous prodigious composers, like Mozart, came from highly musical families. Many child prodigies continue to develop their incredible talents because their families nurture their abilities and further advance their uniqueness. Many psychologists argue that with enough practice, any parent can have a child prodigy, although self motivation for the child is necessary. Child prodigies are typically described as precocious, forging ahead of their peers with their skill, whether that be a school subject, art or sport. In many cases, prodigies are about average when it comes to their other abilities, but they far exceed their peers when it comes to their specific talents. They also tend to spend a lot of time nurturing their skills, as it genuinely interests them, or they have been highly incentivized to continue practicing. Child prodigies have incredible attention to detail, noticing missing items, or skewed data with ease. Their memory appears to operate on a different level in comparison to peers, and often times adults. They tend to pick up on a particular skill with ease as if they were wired for just that. Expressing a fascination in their specific gift usually comes at a very early age, for many around two years old. Showing a complex understanding of their specific interest, child prodigies often quickly outgrow their academic peers, and require more challenging environments. Their behavior often shocks others around them as they are incredibly talented in their particular expertise. They will often begin speaking early, teaching themselves complex and above average material, and thriving in a challenging environment that nurtures their growth. Prodigies have an almost insatiable need to master their skill. They also may want to spend some time alone mastering their craft. Child prodigies are few and far in between, with the largest case study boasting a mere thirty participants. Due to their incredible nature, child prodigies tend to achieve notoriety fairly quickly, that lives on even long after they have passed away. William James Sidis was a child prodigy in language. He was noted for reading newspapers at 18 months old, and teaching himself Latin by age three. He later attended Harvard when he was 11. One of the most famous musical child prodigies was Wolfgang Mozart, who began showing his musical gift when he was just three years old. Mozart's parents took him traveling throughout the country, sharing his gift with many astonished adults, including other famous composers. Pablo Picasso was said to be interested in the arts before he could even talk. His childhood drawings were noted for their incredible skill, and were even compared to the works of Raphael when Picasso was a mere 12 years old. By the time he was only ten years old, Jean Piaget had published so many papers on mollusks that mollusk experts believed he was an adult. He also landed himself a job at the Museum of Natural History during this time, and later went on to become a child psychologist. Jascha Heifetz was an incredible violin master, who began showing interest at just 8 months old. By the time he was three, he began playing violin, and by the age of five he was putting on concerts. When he turned sixteen, he became a popular sensation while playing in Carnegie Hall, which truly amazed the crowd. Marie Curie was known for her amazing memory and academic skills. She began teaching herself to read Russian and French when she was just four years old. Taking interest in physics and chemistry, she went on to win two Nobel Prizes, and was the first woman to do so. Enrico Fermi was a math and physics prodigy, with an incredible photographic memory. At 10 years old he was building electric motors and studying geometry with ease. When he was 16, he applied to college, impressing his professors with an essay that solved the partial differential equation. Bobby Fischer was a prodigious chess player, winning the title of Grandmaster by the time he was 15 and becoming the youngest candidate for the World Championship. Child prodigies would certainly have a more difficult time exploring their talents without the help of trusted parents and loved ones supporting them. Genetic, environmental and neurological differences contribute to a child's prodigious abilities. If your child shows signs of prodigious behavior, you may want to continue doing some research, taking note of their behavior, and speaking with a professional to get them tested.